New this season and exclusive to us - Joanna Hope swimwear. 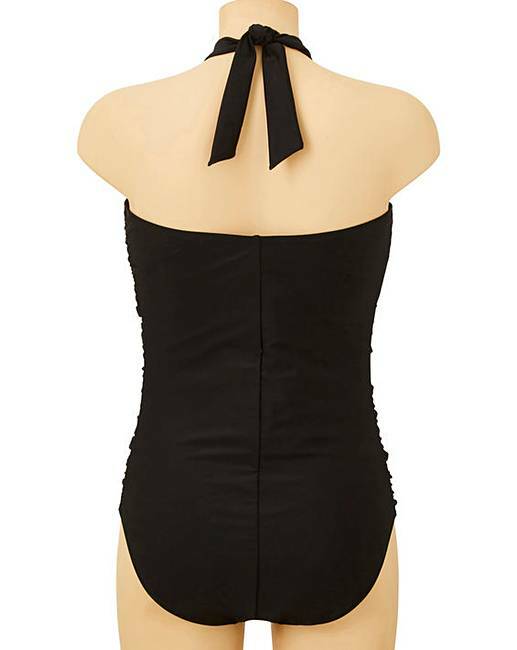 Wow in this classic Joanna Hope logo sculpt swimsuit. 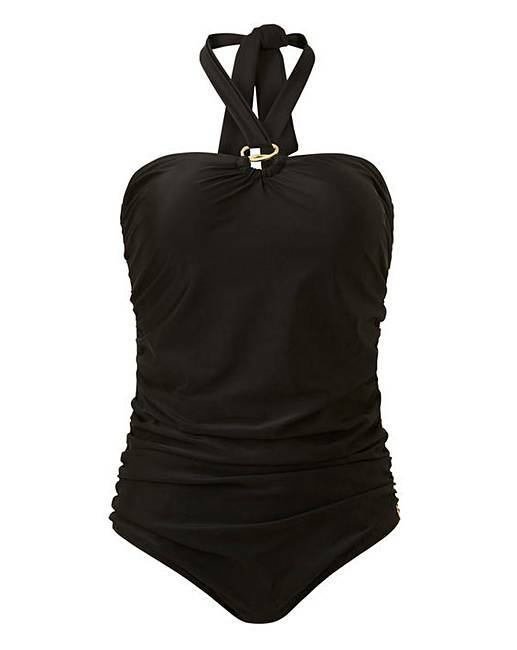 This black swimsuit features powermesh to fit and flatter, a removable halterneck strap and a beautiful gold ring detail at the centre front. 80% Nylon, 20% Elastane. Lining: 86% Nylon, 14% Elastane.